Do you have an El Pollo Loco near you? I think it may be a mostly West Coast chain of Mexican fast food. I remember my mom picking up the food when I was little and loving the juicy chicken stuffed in a tortilla with some pinto beans. 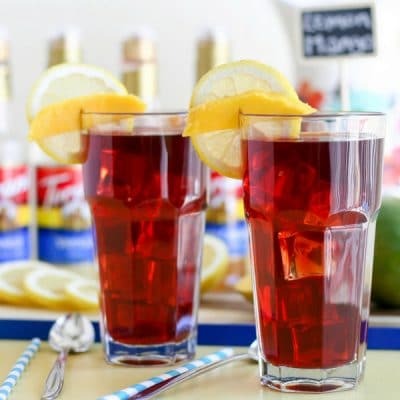 It was so simple but always hit the spot. Eventually she came up with a recipe that is a good El Pollo Loco Chicken recipe knock off. Now I make my mother’s version of El Pollo Loco’s chicken. This is just really good chicken. 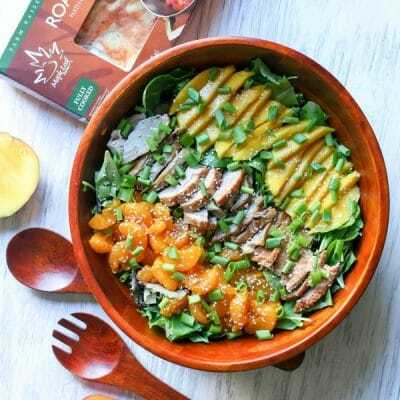 I love simple recipes that don’t take much prep work and this is one of them. This chicken is great because the marinade takes less than five minutes to make and you can just throw the chicken in and forget about it. Family preference is bone-in chicken breasts. Using bone-in chicken breasts makes for really juicy meat and the skin is awesome. 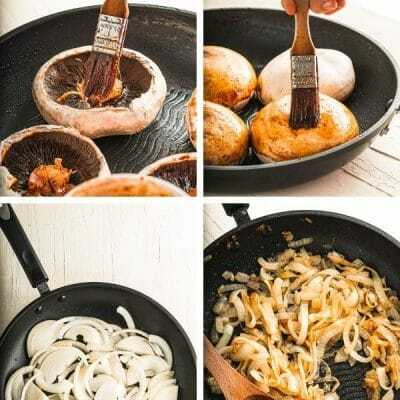 Combine oil, butter, onion powder, garlic powder, cumin, and lemon juice in large shallow pan. Add chicken halves, turning to coat well. Cover and marinate several hours or overnight. Remove chicken from marinade, cook over medium coals on barbeque grill, or 4- inches from source of heat under broiler, until browned on both side and meat is done, turning and basting frequently, about 30 minutes. Cut chicken halves into pieces to serve with beans and rice, corn or flour tortillas and salsa, if desired. Makes 6 servings. Let it marinade overnight if you want. I prefer to marinade my meats in this tupperware container which has little spikes on the top and bottom so the marinade can flow and it’s easy to flip! Plus no more concerns about leaking juices! 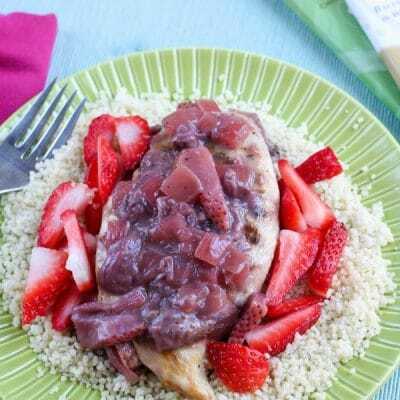 You can cook this on the grill, on a grill pan, or under the broiler. Use whatever you have available and either way it will turn out great! 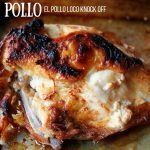 What to serve with El Pollo Loco Chicken? My favorite way to make these up is to put some of the chicken in a tortilla, top with pinto beans and salsa. But you could use this meat for tacos, burritos, or even on a salad! 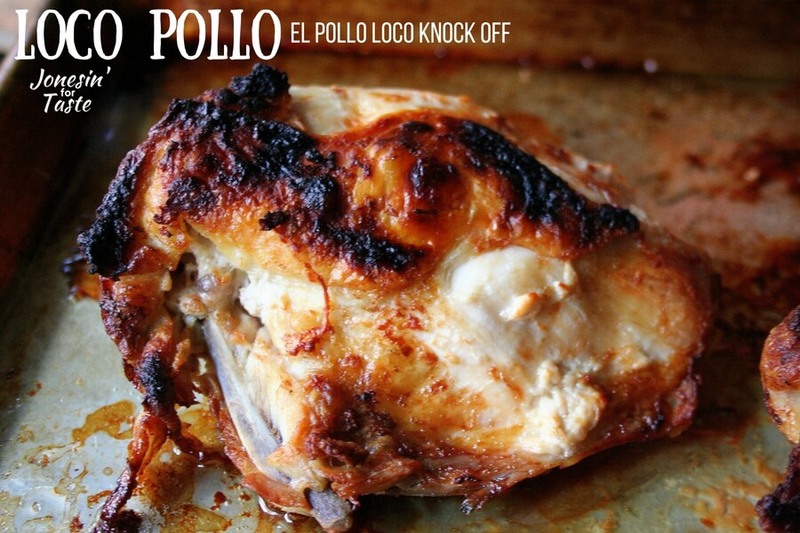 Whip up a simple marinade and grill or broil this Loco Pollo chicken for a juicy El Pollo Loco Chicken Recipe knock off that pairs well with rice and beans. Family preference is bone-in chicken breasts. 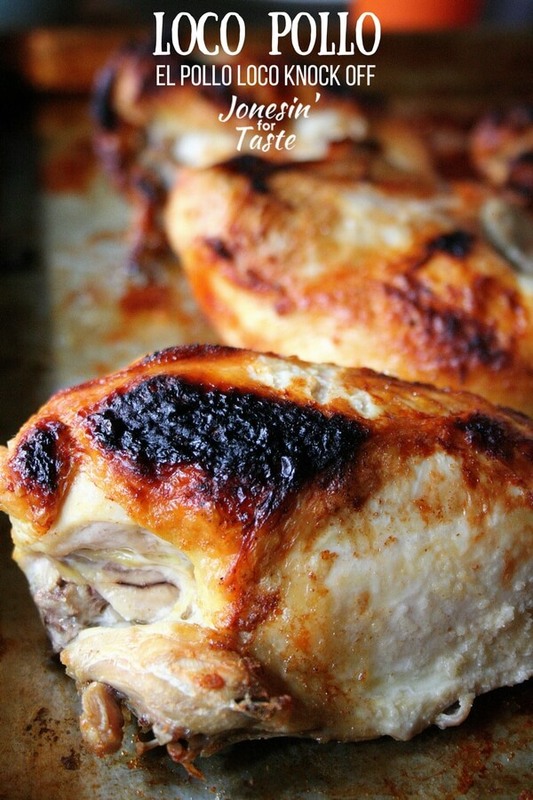 So sorry….you are no where near on this Pollo Loco recipe. I happen to personally know the Mexican owner whom had already been successful in Mexico with his Chicken Restaurants before he opened his first restaurant across from my husband’s office on Alavarado St. in LA. He sold his restaurants to Denny’s. That recipe will never be shared. How lucky of you to know the owner and to have their actual recipe. Feel free to share it here. I think it is a great attempt! Of course you don’t have the actually recipe so it won’t be a perfect match. We really enjoyed. 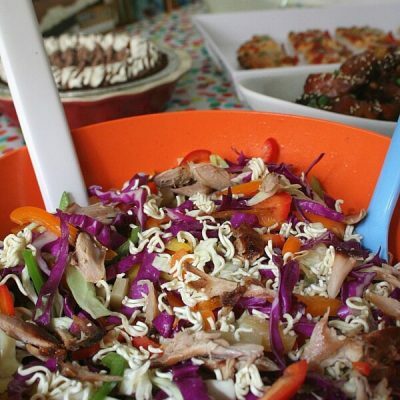 Great for big gatherings!